MyTrioRings.com offers a full 1 year warranty on all their rings! We take great pride in the quality of our diamond jewelry and will replace or repair any purchases from My Trio Rings should it show signs of a crafting defect within one year of the date you received your purchase. Simply email [email protected] with your Name, Order number and a picture of your ring. We will assess the damage and either repair or replace the ring if it is determined to be the fault of crafting. In certain cases, we may require you to send the ring back to us to have our professional jewelers inspect the ring and determine the proper course of action. We cover all crafting defects but do not cover accidental damage caused by normal wear and tear. If the damage is determined to be at fault of the Crafting, we reserve the right to either replace or repair the ring at our discretion. In the event that we are unsuccessful in repairing or replacing the item due to a lack of stock or a discontinued item, we will replace the jewelry with one of equal value from our available inventory per the style choice of the customer. This warranty is voided on any My Trio Rings Jewelry that are modified or repaired by a jeweler or third party other than My Trio Rings. All parts of the item must be returned to be eligibile for warranty repair. A replacement fee will apply for all missing parts. We provide free return shipping on all Warranty Repairs and Replacements within the United States. 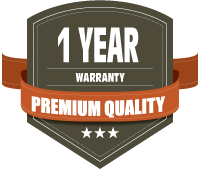 In the event that you have exceeded our 1 year warranty period, My Trio Rings will gladly repair your item. Once the ring is received by our company, we will provide a repair cost estimate before we begin the work for you to approve or reject. Should you accept it, your account will be charged and our jewelry professionals will proceed with the repair. All shipping and handling costs are the responsibility of the customer for out of warranty repairs. Our Extended Service Plan (ESP) is a ring care package that keeps your ring sparkling forever. The Extended Service Plan provides yearly services such as rhodium polishing, professional ultrasonic cleaning, re-sizing and much more, in addition to extending benefits of Crafter’s Warranty for up to 5 years. My Trio Rings is proud to offer Extended Service Plan (ESP) at deeply-discounted price for your rings. Find out more about ESP here.